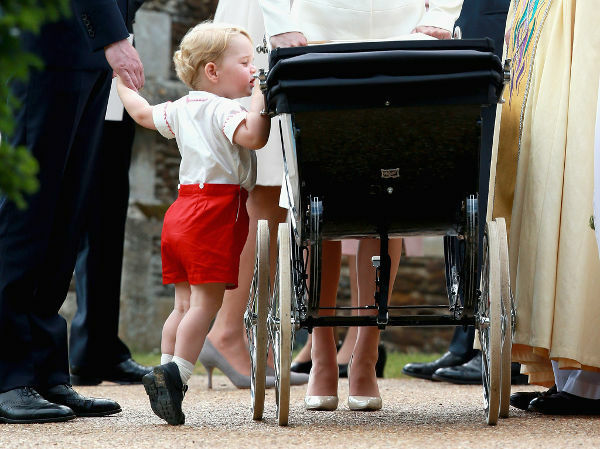 Princess Charlotte's intimate christening - once again big brother steals the show! 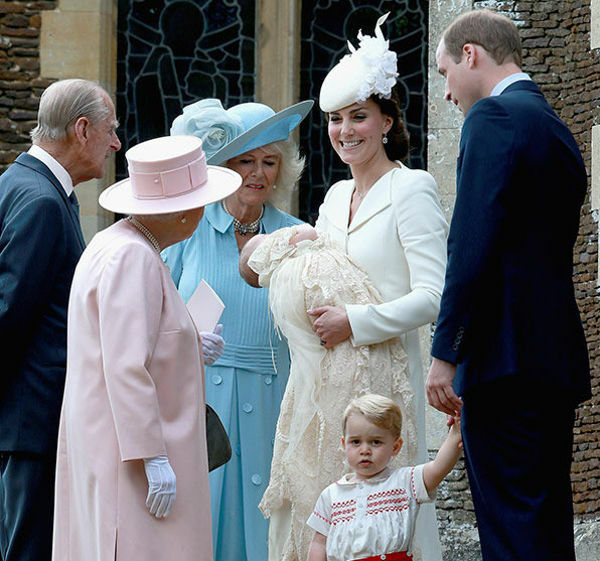 Princess Charlotte’s intimate christening – once again big brother steals the show! 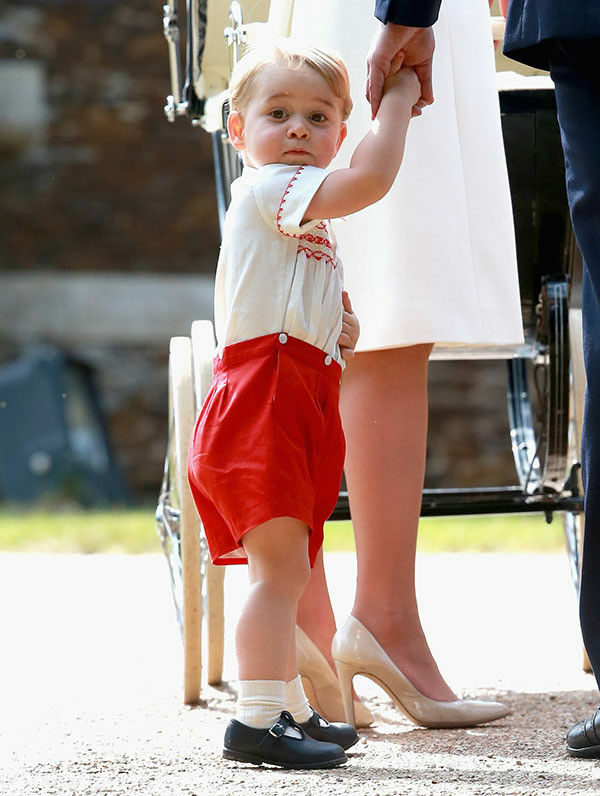 Adorable Princess Charlotte has made just her second public appearance just a few hours ago, flanked by her spotlight-stealing big brother, as she attended her christening ceremony. 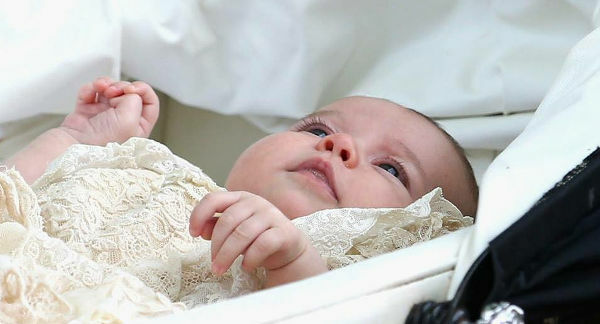 A small party of 21 guests watched on as Princess Charlotte was christened at the Church of St Mary Magdalene, which is nestled on the country estate of Queen Elizabeth II. 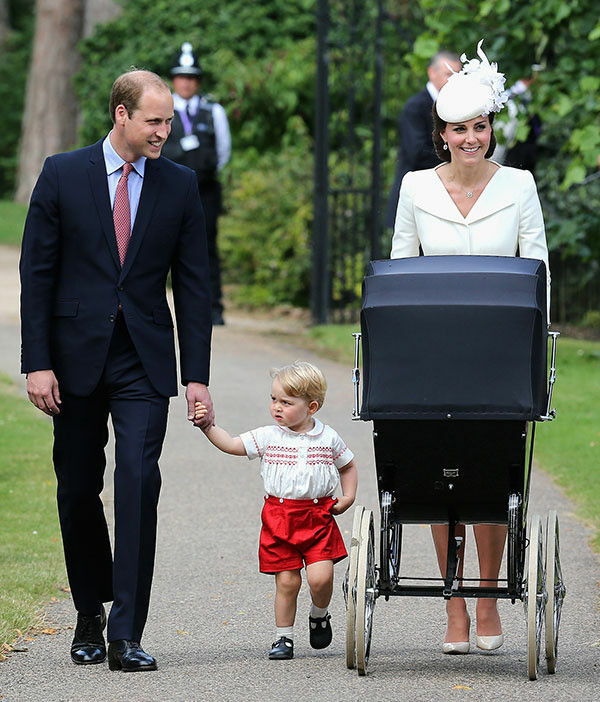 She was wheeled to the ceremony in a stunning vintage pram that had been used by Queen Elizabeth for her children. While little Princess Charlotte looked resplendent in a lace and satin gown, which was a replica of the one worn by Queen Victoria’s eldest daughter in 1841, her older brother Prince George had the adoring crowds cooing. 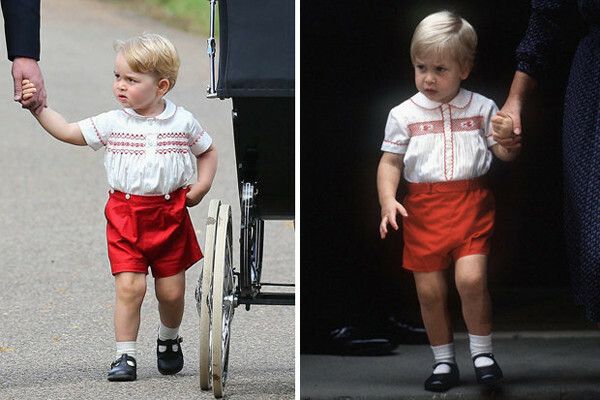 He was dressed in a mini-me version of the outfit his father wore when he met Prince Harry for the first time. What a gorgeous nod to family history. Princess Charlotte was watched over by her five godparents: William’s cousin Laura Fellowes, Kate’s cousin Adam Middleton, Kate’s friend Sophie Carter, and William’s friends, James Meade and Thomas van Straubenzee. After the ceremony the guests were treated to tea and cake at Sandringham House, and indulged in slices of christening cake that were cut from a tier of William and Kate’s 2011 wedding cake. Once you’re done cooing over all this christening loveliness, take another look at the royal siblings’ first official photo shoot, taken by their mum.